There isn’t anything more satisfying than munching your way through a Big Mac on a deliciously lazy hungover Sunday. But sometimes it all just ends too soon, leaving you chomping drowsily at thin, tasteless air for more. Enter the Grand Big Mac. This majestic burger has proved a hit in other parts of the world, and is now about to land with an earth shaking thud in Maccy D’s up and down the UK. 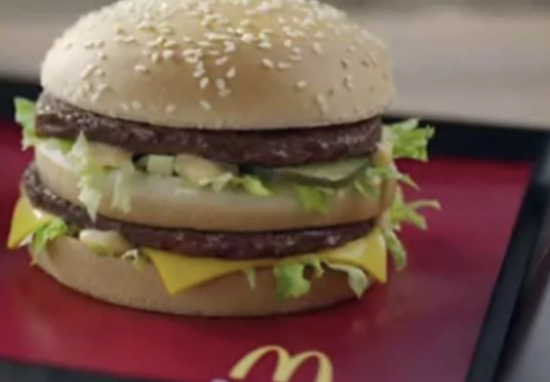 This beefy beast is being released as part of the 50th birthday celebrations for the iconic Big Mac. Those with a more delicate appetite can opt for the limited-edition Mac Jr. This meaty mini-feast has all the same distinctive flavours you know and love, but it will be missing a patty. It’s fair to say McDonald’s regulars are beyond delighted by this bun-derful news, and feel ready to take on this delectable jaw exercise. And it seems this burger is mighty enough to crush any of your well intended yet admittedly weak attempts at a New-Year-New-You health kick. How can I be on a diet when they’ve added a grand Big Mac to the McDonald’s menu ???? Far too excited for the release of the Grand Big Mac tomorrow ? McDonald’s releasing a Grand Big Mac has just made my day 10 times better ?? My mind might have thought the Tide ads were best, but the chub on my body quivered most excitedly at the announcement of a Grand Big Mac.